Filmmaker and author Karin Muller had always heard the argument over Cuba, but was never satisfied with what she learned. According to some it is a tropical paradise, and according to others it is a police state that people are dying to escape from. Unfortunately for us, the only way to get insight behind the accepted truths of Cuban-US relations has long been banned. Travel to the island is severely restricted, and until recently even Cuban-Americans could only travel to the island every few years. Muller decided that the only way that she would ever get to the bottom of this mystery was to travel to the island herself, and to make the observations that can only be made in person. 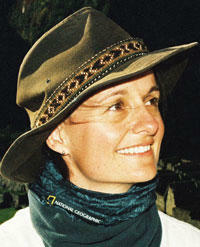 With a Swiss passport and a tourist visa, she visited the island. Along the way she filmed undercover—resulting in over a dozen arrests over the three month span of her trip. What she managed to capture in the process is a glimpse into the realities on the ground of the Communist island. Her film Cuba’s Secret Side tells the story of the government’s many failures, successes, and shady grey areas that have become the fabric of everyday life. Take for example the art of ordering a pizza in one of Havana’s most popular spots, the scene that the film starts with (view below). Or try to understand the logic of how the long government lines have shaped the society into one that values the art of conversation and friendship. Through the two part film, Muller stays with fishermen, farmers, a Santeria priestess, country doctors, and more. She even spends time with lighter repairmen (yes that is a profession—and illegal one at that). Each character that we meet paints a humanizing picture that political talking points pretend don’t exist. The learning goes both ways. At least it should, in theory. Especially in South Florida, it is easy to take these black and white viewpoints as fact, as we have learned to demonize dissent within the Cuban-American community. The true gem of Muller’s film is that she steps out of the way, and allows the Cubans to tell us what they value about the current system, as well as what changes they say must be made. For once us Cuban-Americans (full disclosure, author is Cuban-American) can get out of the way and let the people speak for themselves about the country that is still theirs. The leader of the Democratic National Committee says the U.S. embargo of Cuba should remain in place, in spite of recent reforms in the Communist island nation. Florida Congresswoman Debbie Wasserman Schultz spoke before a crowd of over 500 people Friday at an event sponsored by the Forum Club of the Palm Beaches. The DNC chair says it doesn't make sense to lift the embargo, in light of what she calls the "unbelievable oppression" in Cuba. 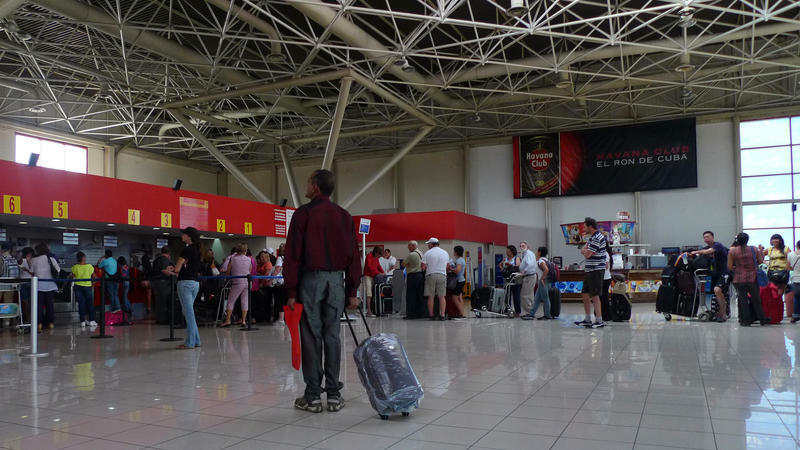 For the first time in five decades, Cubans will no longer need an "exit permit" to travel. The change, which takes effect Monday, is part of a broader immigration reform by President Raul Castro making it easier for Cubans to go abroad — and also to return. But critics say the communist government continues to treat travel as a privilege, not a right, and a useful tool to punish dissent. American medical students who get their diplomas in Cuba could forget about practicing in Florida if legislative bills filed by two Hialeah Republicans are passed this session. State Rep. Manny Diaz Jr. said Americans who overlook human and civil rights abuses just to get a cheap medical degree lack the "moral clarity to serve patients in Florida." The Senate bill, SB 456, was filed by State Sen. Rene Garcia.